On the face of it, Mark Woodford is fairly content with life. He lives in an inherited house in Brighton, works part-time as a college lecturer and has aspirations to be a playwright, but as he approaches 40, he begins to wonder if there might be more to life than his carefree bachelor existence. Then he meets the gorgeous Lizzie Wilson. Lizzie is caring and generous; someone who tries to put her religious beliefs into practice through her job as a local community worker. When with Lizzie, Mark realises just what his life had been missing after all. All too soon, Mark's world with Lizzie is torn apart. Struggling to cope, he begins to re-evaluate his life, his relationship with his family and his own spiritual beliefs. 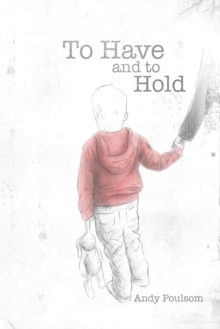 To Have And To Hold is a love story told with gentle humour and deep sensitivity, with laugh-out-loud moments and spells of heart-rending despair. Ultimately, it is a story of one man's quest to plot his own road to redemption.